We all have our ups and downs and chances are you struggle with self-love quite often but not without reason. Self-love is not something many can master. It is something we all have to work at each day. The more you work towards it the closer you will get to achieving it. 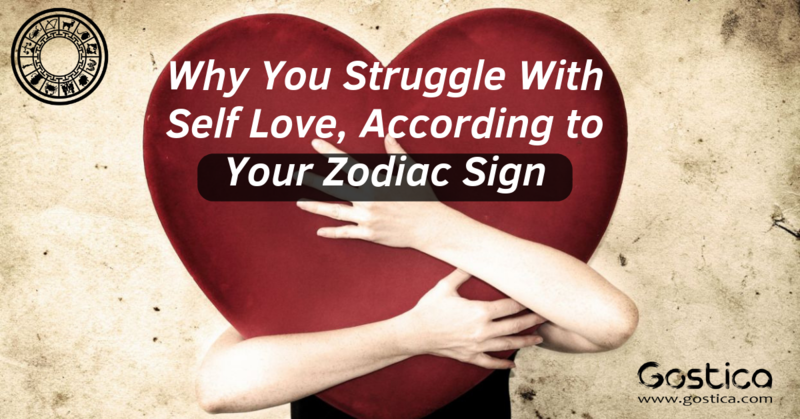 Below I am going to go over some of the things that might be holding you back in regards based on your zodiac sign. Your standards are too high. You struggle to love yourself because you are never good enough in your own mind. No matter how hard you work or what you end up with it isn’t enough. You are always sizing yourself down. You struggle with self-love because you rely too heavily on relationships. When you are single you feel even worse about yourself than you normally would. This is because you put too much into being with someone. You give your relationships literally everything and not in a good way. You struggle to love yourself because you have a distorted self-image. You don’t see yourself the way you really are. For some reason, your mind only looks at the bad things and refuses to focus on the good. There is so much good, you just cannot see it. You struggle with self-love because you give too much. You give so much to others that there is not much left for yourself. You give to those who do not deserve and waste a lot of time and energy on people who do not care about you. This needs to change. You struggle to love yourself because you seek affection from others. You only feel good when others are building you up. If you are alone and to yourself, the weaknesses will begin to pour out. This is something you need to work on, relying more on yourself will benefit you greatly. You struggle with self-love because you are far too critical of yourself. You think because you are not exactly where you want to be that you are not doing enough. The truth is any effort is worth appreciating and you have come so far. You might need to give up on being perfect and just be yourself.